Note from shop owner Our shop is closed until mid May 2019. If you have any enquiries, please send me a message, I will get back to you within 1-2 working days. Our shop is closed until mid May 2019. If you have any enquiries, please send me a message, I will get back to you within 1-2 working days. Really pretty ring for a great price. Cute tiny ring as pictured. Shipped on time. My niece wore it for her prom and loved it. Love it! I have received so many compliments. 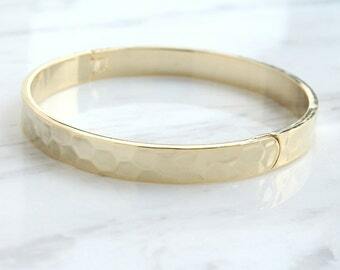 Add some sparkle to your spring wardrobe with the Hammered Gold Bangle! Surprise a loved one with a "just because" gift. It will make their day! Hi, I'm Maria. 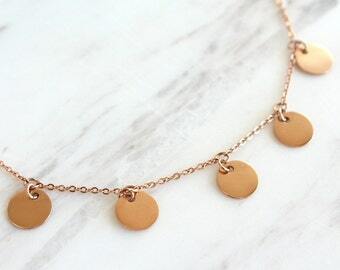 I believe every woman deserves a sparkle in her life without breaking the bank, that's why I aim to provide affordable jewelry and reasonable shipping charges. Enjoy! We are all about reducing waste, so as a default we don't include gift packaging. If you'd like to send the item as a gift, please make sure to tick on "This order is a gift" at checkout. The item will come in a cute white box with a ribbon. Additional charge applies for gift packaging. Thanks for your understanding! All the rings in our shop are free-size/adjustable. Since they are open-ended they can be adjusted to fit sizes from 5 to 8 (US) depending on the design. If you're in doubt, please send me a message!